Are Sugar Substitutes Bad for Teeth? As a parent trying to cut back on your children’s sugar consumption for improved oral health, you may be looking at including some sugar substitutes in their diets. And if you are, you may be wondering if sugar substitutes might have and adverse effect on oral health like real sugar does. Sugar substitutes do not present the same oral health risks that real sugar does. Part of the reason for this is that sugar in and of itself isn’t actually what causes damage to teeth. The real culprit is actually the bacteria in dental plaque, which metabolizes sugar, and releases acids that are corrosive to dental enamel. Sugar substitutes don’t have this effect. In fact, certain sweeteners (those called polyols) actually have antibacterial properties! Polyols include malitol, sorbitol, xylitol and isomalt, and they aren’t broken down by oral bacteria, so they don’t contribute to the formation of cavities. 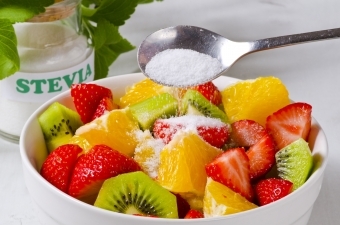 Like anything, sugar substitutes should be consumed in moderation, as part of a well rounded, nutritious diet. And ultimately, the best way to prevent cavities will always be a good oral hygiene routine at home, and regular visits to the dentist for check ups and cleanings. Contact Smile Town Burnaby today to find out more about how sugar can negatively impact dental health, or to book a cleaning appointment for your child.